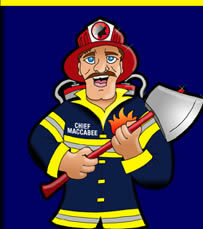 Welcome To The First Jewish Fire Prevention Site On The Net! The largest burn center in the country reports that 30-40% of patients come from observant Jewish families. Schwartz, S. (1995) Fire! Jewish Observance and Burn Prevention. Retrieved from www.tzemachdovid.org on May 6, 2005. “Passover oven blamed in yeshiva fire; 100 people resided in 2-story building that was destroyed..."
“Five are burned in pre-Passover fire ritual in Brooklyn. ...the annual ritual, which involves burning leavened bread and other food not permitted during the Passover holiday."